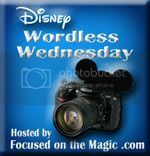 Here are a few pictures of Walt Disney World in 1979. 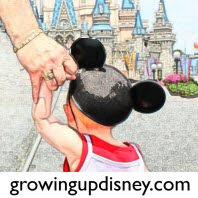 Amy would have just turned three and was on her first trip to the Magic Kingdom. While some things have changed since then others are just as memorable as they were 35 years ago. While Cinderella's Golden Carrousel is now Prince Charming Regal Carrousel it is still a beautiful ride for a small girl to enjoy. One thing that has changed is the crowds. 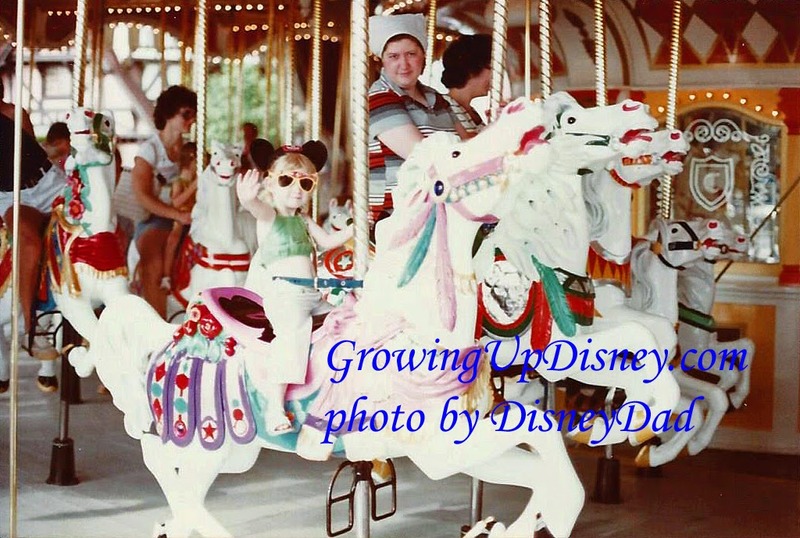 Strolling through Fantasyland was easier in 1979 than it is today. 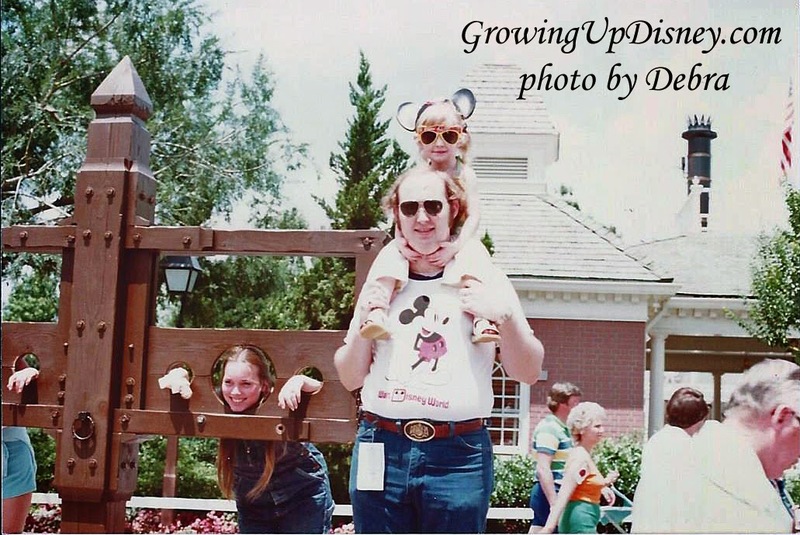 One thing that hasn't changed is you can take your picture by the stocks in Liberty Square. But you will not see the "tag" hanging from my belt any more. In 1979 Disney was experimenting with moving away from ticket books to a single price to admission. For resort guests you could by a length of stay ticket that allowed to access to all attractions. That ticket was in the form of a tag you wore so Cast Members knew they did not need to collect a ticket from you. Amy is adorable!! I love your pictures! 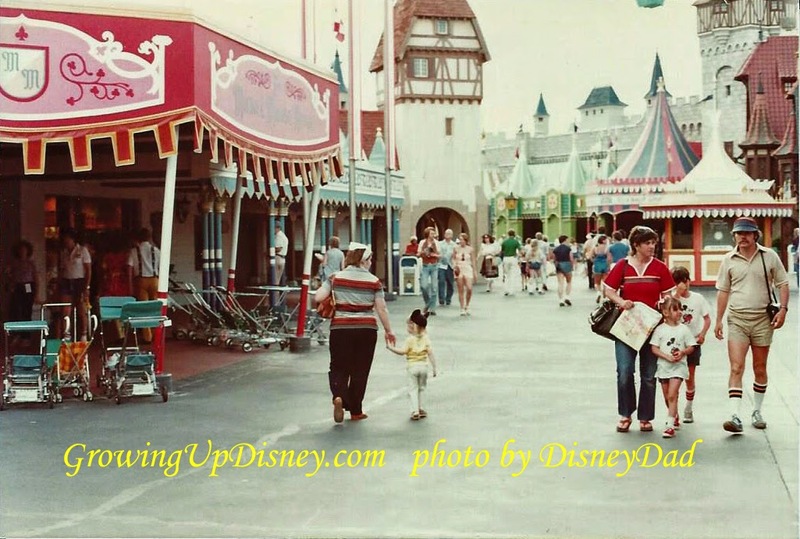 Yes, those were the days when walking around in MK was an easy stroll. Photo Flashback! Flower & Garden…next week! Photo Flashback! I love a parade!